I feel very privileged to be a feature author on Authors Database today. Do take a look at their website, you may find some other authors who appeal to you. The atomic bomb. The Manhattan Project. Hiroshima. Nagasaki. This last week has seen the world remembering the horror of the atomic bombs dropped on Japan at the end of the Second World War. The use of these bombs issued in a new phase in world history, the nuclear age. As such the events of August 1945 are something which we have all heard about. But history is about more than ‘the big picture’. Many people, myself included, are fascinated by the way these major historical events affected the lives of ordinary people, moving from the impersonal to the personal. Until a few months ago I was unaware of the fact that many Canadians suffered radiation poisoning caused by their involvement in the building of the atomic bombs which were dropped on Hiroshima and Nagasaki. The sad fact is that these Canadians themselves were also unaware of what had happened to them during the Second World War, and the part they had played in such a devastating episode in world history. The story was only recently told to me by Julie Salverson, professor of drama and cultural studies at Queen’s University, Kingston, Canada. For more than ten years Julie has investigated the story of the atomic bomb and Déline, a tiny community on the western shore of Great Bear Lake in the Northwest Territories. Towards the end of the war many of the men from Déline were employed in the transportation of goods. What they did not know was what was in the sacks they were transporting across the lake from the mines at nearby Port Radium to Port Hope in Ontario. The sacks contained uranium. Of course, the workers were never told that the ore they carried on their backs was to be used in the experiments at the Manhattan Project, and in the building of the bombs which were dropped on Hiroshima and Nagasaki. Over the years that followed there were many unexplained illnesses in the community, and far more than the average incidence of deaths from cancer. When the truth about their connection with the events of August 1945 finally came out, the people of Déline were devastated. They could now understand the illness and suffering which had plagued their community. In a global sense, they could also identify more fully with the people of Hiroshima and Nagasaki. So, what was the response of this small community of Canadians? Anger at the people who had used them and caused them suffering? A focus on the devastating effects on their own lives? No, they immediately sent a delegation to Japan to make their own personal apologies to those who had survived the bombs. Julie Salverson first heard this story in 2001. She has since followed the trail from Canada to Japan; a journey which has touched her deeply, and is recorded in her book ‘Lines of Flight: An Atomic Memoir’. During her research Julie visited Déline, New Mexico, Hiroshima and Nagasaki, following the stories of people thousands of miles apart yet linked by such terrible events. Personal stories of pain and suffering, from both Canada and Japan, have saddened her. Yet she has also been encouraged by the strength and fortitude of the people on both sides, and their capacity to forgive. Like Julie, I am interested in the stories of ordinary people caught up in extraordinary events. Unlike Julie, I choose to tell these stories through fiction, as in my Second World War novel, ‘Heronfield’. In ‘Heronfield’ the bombing of Coventry is seen through the eyes of the civilians; the story of the French Resistance told from the perspective of one small family; the secret life of a spy seen from the perspective of his family and loved ones, as well as his own. ‘Heronfield’ follows the war in Europe from Dunkirk to VE Day – the dates, the bombing, the battles all historically accurate; but what brings it to life is the people. Ordinary people like you and me, people who were never famous but whose stories tell us so much about life in this fascinating period of history. Ordinary people like those who lived in Hiroshima and Nagasaki. And Déline. The English Civil War is a fascinating period of history, but few people know much about it. 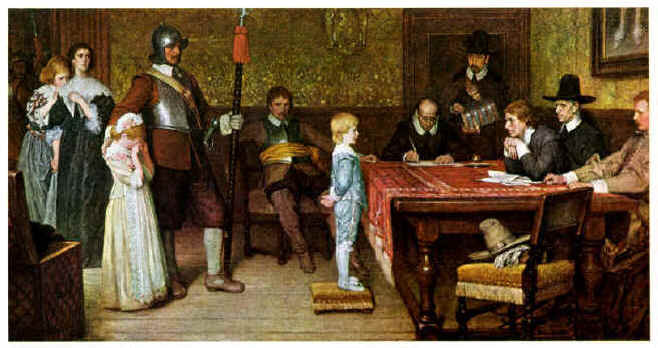 I recently came across Anglotopia’s post Ten Interesting Facts About the English Civil War. which is well worth a look. I wonder if you have any facts you would like to add to the list? Please do so in the comment box below as I would love to read them. Perhaps they would be similar to the facts I have come across in the research for my new novel, Rebekah. One thing I have found interesting is the high incidence of witchraft trials during the war. This is something which will impact on my main characters – but more of that in a later post!